This guide will show you how to set up the auto door locking and unlocking on your VW via a highline dash and multi function steering wheel. Why would I want it? Whilst it's more common in the US than it is in the UK, 'car jacking' is sadly a risk. Pulling up at a junction or traffic lights gives a criminal an opportunity to jump into your vehicle. Acts of road rage are also becoming more prevalent and there's certainly a feeling of security when the guy in front looks like he might leap out and give you a good talking to! Function After starting the vehicle and driving off the doors will automatically lock above 5mph. 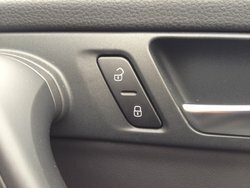 The doors remain locked until an interior door handle is pulled twice or the ignition is switched off and the key removed. Common concerns People are often worried they could be 'locked' in to the car. The system doesn't apply the 'deadlocks' and therefore the doors can always be opened from the inside. In the event of an accident large enough to set of the airbags the doors would automatically unlock so passengers can be freed. Older model VW's Older models may have a toggle on the end of the wiper stalk which will operate the dash in the same way. Vehicles without highline dash clusters Models without the setting within dash cluster can be programmed by your Volkswagen dealer for minimal cost. Watch our "How to" set up your auto locking/unlocking video or scroll down for the static step by step guide. 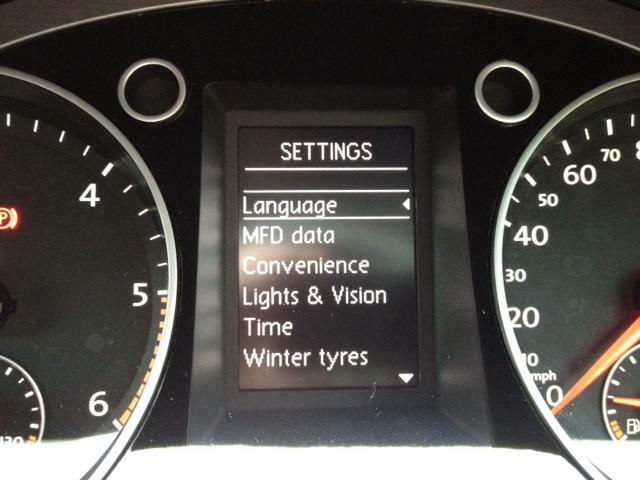 Use the steering wheel multi-function up/down/left/right and ok buttons to navigate the dash menus. If you select the wrong thing then simply use the 'back' word or press the 'reverse arrow' button below the main joystick. Use the left/right buttons to circle through to the 'settings' menu. 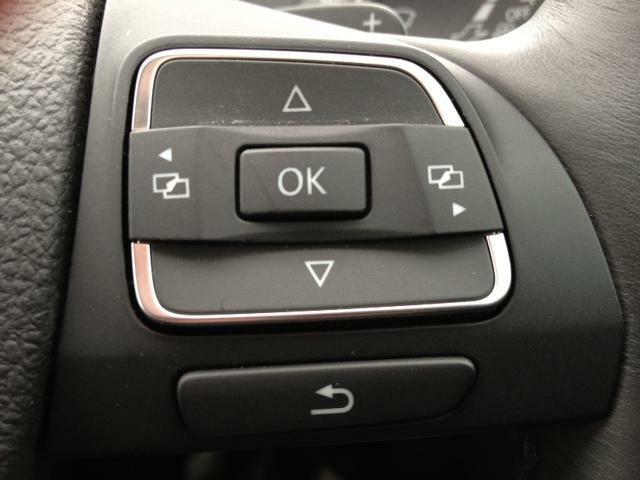 Use the down button and the OK button to select 'Convenience'. Select 'Central locking' with the OK button. 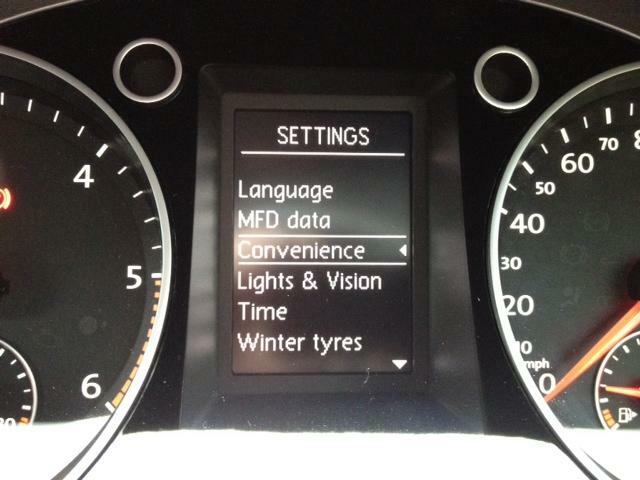 Use the down button and select 'Automatic'. Toggle the 'Lock' and 'Unlock' ticks with the OK button. 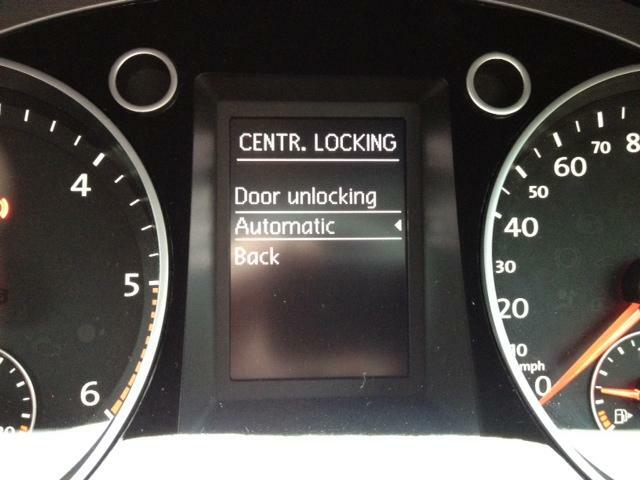 The 'Unlock' feature opens all the doors when the key is removed so we recommend this option.